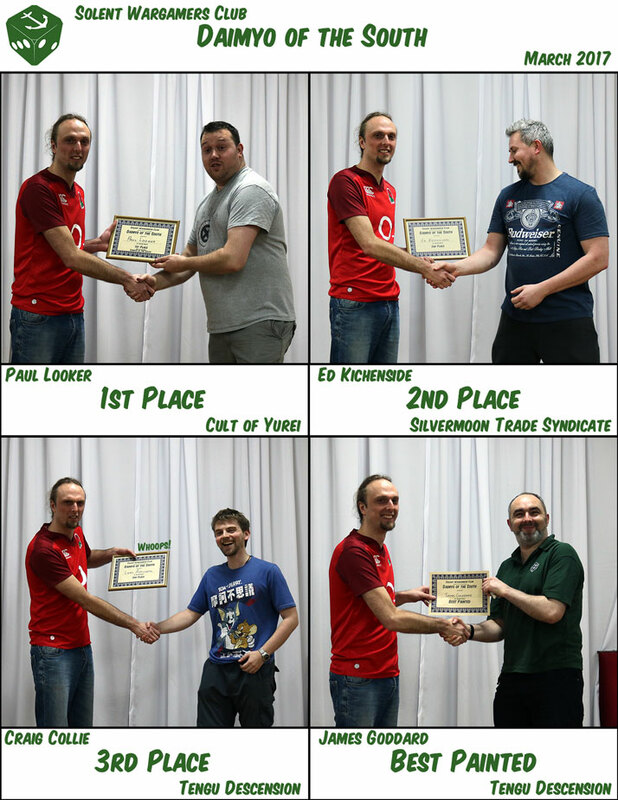 On March 3rd the Havant Wargamers hosted their inaugural Age of Sigmar tournament. Read Tony’s report here! A great article on how Scar Hand Painting approaches painting, by doing it in batches. A nice write-up of Sam’s journey into 8th edition 40K, and his thoughts on Deathwatch in the new system. 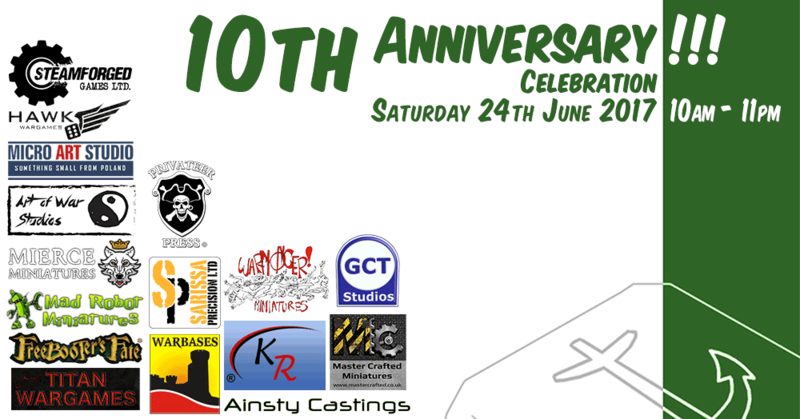 Solent Wargamers are turning 10 this year and we are celebrating by having an all-day gaming session on Saturday the 24th of June. Many thanks to all who attended our annual Bushido Tournament. A great day all round. The Solent Blood Bowl League (SBBL) is starting soon but, before it gets underway, there will be two weeks of warm-up games to help new players learn the game and old players remember where they put their dice! A great article from Massive Voodoo on taking great photographs of your miniatures. A four-game 1M gold Blood Bowl tournament.